Members of the public are welcome to attend meetings and address the Council providing the item is listed on the agenda.? Registration to speak may be made by telephone or in person before 2.00 pm on a meeting day.? These items will be brought forward at 5.30 pm in agenda order, and dealt with before other items.? Public addresses are limited to five (5) minutes per person with a limit of two people speaking for and two speaking against an item.? Council allows not more than two members of the public pre meeting to address it on matters not listed in the business paper, provided the request is received before publication of the business paper and the subject of the address is disclosed and recorded on the agenda. These are available from the Council's Administration Building, the Regional Libraries in Macksville and Nambucca Heads as well as outlets in all towns and villages of the Shire. 10.3?? New Sludge Drying Beds at Bowraville Sewage Treatment Plant ??? 13????? REVERT TO OPEN MEETING FOR DECISIONS IN RELATION TO ITEMS DISCUSSED IN CLOSED MEETING. Awaiting outcome of grant application before proceeding.? Outcome of grant expected early December but not yet received. Funding declined.? Work on preparing plan to be scheduled. Interested parties will need to identify potential uses for inclusion in revised plan of management. Local cricket and soccer associations to be contacted regarding use of the fields. No response as at 22 June 2009. Consider no interest.? Prepare draft plan November 2009. Preparation of Plan of Management commenced. Nambucca River Masterplan has identified possible users. ????? Survey complete. GHD site mapping complete. Lab testing completed.? Property boundaries defined. Final report being prepared?Jason Cottages is high priority. ????? Under review by Council staff. Final report assessed.? Maintenance recommendation included in works program.? Phase 2 analysis of pipeline from Bismark to Nambucca Streets authorised. That during the first half of 2009/10?? Council to call for community input into a new Environmental Levy program for the 5 year period to the end of 2014/2015. Ads to appear 17 September 2009. Submissions being received and considered. It is proposed to prepare a brochure on the achievements of the Environmental Levy over the past 4? years and to undertake a community survey on the continuation on the Environmental Levy and includes the Committees views on this Council?s commitment to Climate Change. Questions in survey circulated to Councillors. Report to Council 21 January 2010 meeting on current Env Levy and report to Feb GPC on Proposed New Env Levy. That a new plan of management for the reserve within Kingsworth Estate be prepared by DES.? To include pedestrian and vehicular access arrangements and management of environmental values. Requests for information sent to Nambucca Heads Local Aboriginal Land Council and DECC. The Lands Council has advised they will charge for an archaeological assessment. In respect to the Kingsworth Lake Reserve the potential for Aboriginal objects to be found near this area is HIGH and inspections should be carried out as a walk over site survey should any activity be planned for this area. The RTA requested to revise the speed limit along the Pacific Highway at Bellwood to 50km/hr. Verbal advise that on-site assessment done. Verbal request to provide a response. No written notification 10 August 2009. No written notification 21 August 2009. Further requests for response made 3 Sept 2009.? No written notification as at 21 Sept.
No reply as at 30 September 2009. Further request made 22 October 2009. Further request made 6 November 2009?verbally refused. Further request for written confirmation 4 December 2009. That a report back to the Land Development Committee on the outcome of advertising for expressions of interest for the purchase and development of industrial land in Nambucca Heads. Surveyor to identify services and boundaries. Services already allowed for in lot plan. No expressions of interest received.? Report to come to Land Development Committee. Resolved on 17 December 2009 that Council retain the land until there is evidence of an improvement in market conditions.? Manager to report on any discussions with prospective purchasers. A report is to be prepared to the Sub-Committee on a staged process for reviewing the Draft Management Plan.? Report to be completed by June 2009.? Subcommittee to report by March 2010.
Review will now have to be in accordance with new legislation.? Meeting date for Committee is 10 August 2009. Next meeting for Councillors Court, Flack, Smyth and South is scheduled for 9.00 am Meeting held Monday 24 August 2009. Meeting held 8 Sept 2009. Next meeting scheduled for 30 Sept 2009. Council resolved on 5 November 2009 that the Sub-Committee provide progress reports on their work. Council make representations to the Minister for Emergency Services and Minister for Roads to seek funding for the repair of landslips in Nambucca Heads which occurred as a consequence of the flood events in February and March 2009.? Also that Council make representations to the Insurance Council for the provision of insurance for land slip damage. DES to write to RTA requesting a program as to when they will make determinations and when emergency funds will be available. No response at 10 August 2009. Mayor has made representations to Andrew Stoner MP. Meeting with Minister for Transport (David Campbell) on 3 December 2009.? No response as at 8 January 2010. No response as at 6 July 2009. Further follow up letter sent 27 July 2009. Further follow up letter sent 10 September. No response as at 22 September 2009. Council has resolved on 1 October 2009 to write to the Premier concerning the delay. Letter sent 28 October 2009. No response as at 20/11/09. Response from Premiers Office 26/11/09 advising that it has been referred to other Ministers. Letter received from Minister Costa 4 Jan ? ?a reply will be provided as soon as possible?. No reply at 10 August 2009. No reply at 21 August 2009. No reply at 7 Sept 2009. September 2009.? Delayed to October 2009. Obtaining information on cost/benefit of increasing self insurance reserve and reducing the schedule of insured buildings. GM attending to more urgent issues.? Will try to complete for 21 January meeting.? Proposals put to Council?s insurer and auditor re self insurance of plant and equipment.? To be reported to February GPC. Local DECC office advised by letter of Council?s intention. Positive progress being made with DECC rep.
Information provided on sampling to DECC. Proceeding to provide 3 addition monitoring bores at the Cost of $3,000. Water quality meets standards downstream. Agreement obtained from Bellingen Council.? Agreement being sought from RTA. Brief prepared for Geotechnical Consultants. Expressions of interest being sought for an Options Study. RTA has approved options study. In relation to deputation follow up letter sent 10 Sept 2009. Meeting with Minister for Transport on 3 December 2009. Option for a rebated access ramp in lieu of removal of podium in Council Chambers be put to the Access Committee. Matter presented to Access Committee 28 July 2009. Matter deferred for consideration at next Access meeting. Matter further deferred for consideration by Committee. Report to meeting on 19/11/09. Quotes being sought for fibre optic link to the Library.? Will report when quotes are in. Council consider the need and cost of a consultant to identify and recommend improvements to existing records management practices in the 2010/11 budget. To be reported on in March 2010. Council persevere with improving the operator and equipment efficiency of the Paveliner for a further 6 months before receiving a report and assessing other options including pothole patching being undertaken by contractors. Council write to Coffs Harbour City Council enquiring as to whether the proposed Coffs Coast rail motor service has progressed. Letter sent to Coffs Harbour GM on 14/8/09. No response as at 6 October 2009. Follow up letter sent 28 October 2009. Follow up letter sent 12 January 2010. Dip filled.? To be further assessed for Briffen fencing. Council receive a bimonthly report that individually lists all required flood restoration work and the current status of each job. Delayed to allow community members to have input. Now for 21 January 2010 report.? Extension of time provided to community groups (Community Gardeners at Nambucca Heads) to lodge submissions. Tourism ? list of promotional priorities; opportunity for MOU between Council and NV Tourism Inc; MOU with neighbouring Councils; options for structuring a special rate for tourism marketing. Council review the tank rebate scheme asap to encourage greater uptake and promote to the community. Report to GPC in January 2010. Council investigate opportunities for funding for a part time Natural Resources Officer in a possible alliance with Bellingen Shire Council at no cost and that a report is prepared on the roles and responsibilities of the position. Deferred to January 2010 GPC due to dam inspections taking up December GPC. A large number of companies have indicated interest.? Plan to be listed in the draft 2010/2011 budget. Council review staffing requirements & costs for CCP milestones as well as the savings made in 12 months time. Council write to the Premier and Lands Department and to the Minister for Local Government requesting that caravan parks on crown land pay general rates. Letters sent 11 November 2009.? Rate notice issued for Scotts Head Caravan Park to Trust Manager. Council check with the ABS regarding the population of the Macksville Urban Area. Enquiry to be made with ABS. Collector Maps received but ABS yet to identify which collector areas of part of collector one define the Macksville urban area. Council object to State Government legislation re councils paying for damage to property due to sea level rises. Letter sent to the Hon. John Robertson MLC, Minister for Climate Change on 10 November 2009. Council conduct a Value Management Workshop to examine financial components of the IWCM; rate modelling; forecast developer contributions and residential bills. Being discussed with Dept. of Commerce.? Suggested early February 2010 following completion of exhibition period for EIS. Council write to the Scotts Head Reserve Trust and request assistance in funding the provision of surf life saving facilities. Trust advised that letter referred to Land and Property Management Authority. The beach is defined as a 'public place' in terms of the Local Government Act 1993.? Council has the power to regulate, influence and carry out activities on the beach by virtue of this definition.? Council has made the decision to provide the Life Saving Service, regulate bathing zones etc at Scotts head pursuant to such powers. With the above in mind, Council's request that the Caravan Park users contribute to payment of Council's costs in providing the service is not considered fair or equitable.? Patrons using other forms of accommodation in the town, commercial or otherwise, benefit from the service without charge.? Also, many of the users of the Caravan Park are Nambucca Shire ratepayers.? The Reserve Trust is a non profit organisation ? revenues raised on the reserve remain on the reserve and are used to fund reserve maintenance, services and public improvements including attendant parking facilities, amenities and other services that are used by the public at large.? It should also be? 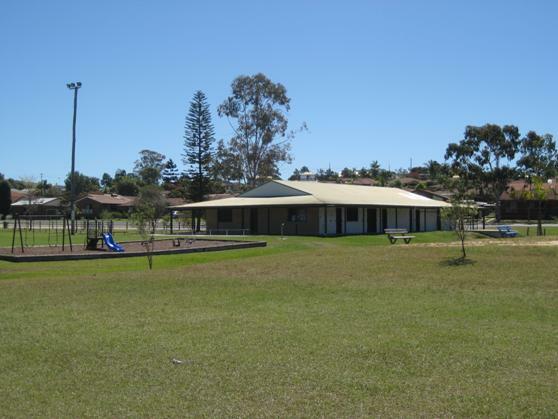 noted that the Trust provides land for the Macksville Scotts Head surf Life Saving Clubhouse, which is leased at a heavily rebated 'peppercorn' rental. Council write to Aust Rail Track Corp requesting urgent onsite review of load limits on bridges on Browns Crossing Rd ? need to provide for water and septic pump out trucks. Letter sent to ARTC Broadmeadow. Advised that letter referred to RIC. Request RFS conduct appraisal of all public reserves around Valla Beach that interface with residential properties and take any action necessary to minimise risk to life and property. Sites being identified on mapping for submission to RFS. NB ? RFS has already conducted some assessments as a result of being contacted by residents. Hazard reduction costs will be significant. One completed at $5,000, another at $9,000. The RFS have responded advising that the BRIMS System is based on individual land parcels and their preference is for specific sites to be advised fro inspection.? The broad approach would require the inspection of 136 properties in Valla Beach alone. Council write to Dept of Lands requesting consent procedures in case of emergency riverbank restoration work. Letter sent to Land & Property management Authority asking consideration in emergencies. Scotts Head Master Plan ? write to Dept of Lands as whether they are willing to accept a lease;? the proposed income and any associated costs. Letter sent 27 November 2009. Council ask the Dept. of Lands to continue to expand the day area if the Master Plan does not proceed. Invite NRCMA to GPC re MOU/blueprint. Section 94 contributions?invite organisation to put forward project ideas. To be done as part of the Community Needs Study. Community consultation re traffic management in Wallace Street. Displays in foyer and Macksville Library; advertised over next two weeks; information sent to 9 Macksville (random) community groups. To be placed on public exhibition for 28 days at end of January 2010. That the matter be deferred to the next GPC?Councillors to provide comments to MHR. Report to 21 January 2010. Report to Council 21 January 2010. See Manager Civil Works' report. NV Netball Assoc C'ttee of M'ment requesting the 2009 Minutes. That a report be presented to Council on the outcome of the Risk Management workshop and the Asset Safety Audit in relation to the Macksville Saleyards. That a report be presented to Council on the possibility of connecting effluent from the Macksville Saleyards to the sewer mains system. That Council invite professional fishers to the next Estuary and Coastline Management Committee meeting to discuss issues they have regarding the Gordon Park boat ramp. That Councillors provide any comments to the General Manager within 7 days to enable the Draft Environmental Levy and Climate Change Survey Report to be finalised. That the Mayors and General Managers from Bellingen, Coffs Harbour and Nambucca Shire Councils form a delegation to the Minister as a matter of priority so as to make representations on the disposal of mixed waste (biomass). That Coffs Harbour City Council and Bellingen Shire Council be requested to consider the creation of a separate entity for management of the solid waste services of the three Councils. That Council arrange an inspection of the Shannon Creek Dam. AUTHOR/ENQUIRIES:???? Jenny Chance, Grants Officer ???????? That the list of grant programs and their status to 31 December 2009 be received. Pontoon and Gangway at Lions Park, Ferry Street ? Macksville. Pontoon and Gangway at Tourist Office Finger Wharf ? Nambucca Heads. Pedestrian refuge at Bowra Street, Nambucca Heads. Nambucca District Little Athletics ? Computer, camera and filing cabinets. Nambucca Heads Junior Rugby League Football Club ? Coffee maker and a step ladder. Program to assist licensed premises to implement strategies towards a safer environment for women. 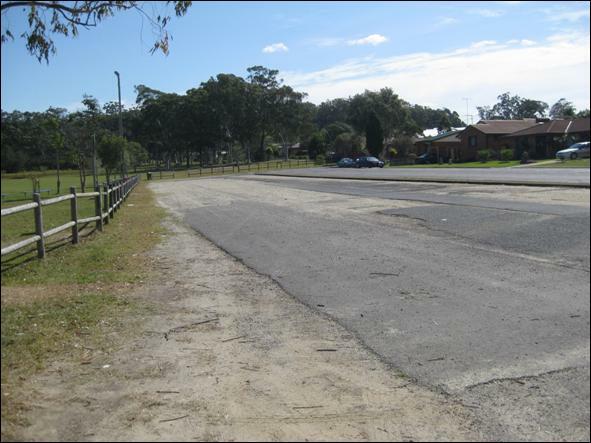 Funding for shared pedestrian/cycleway along Pacific Highway, Nambucca Heads. Funding to assist councils to integrate climate change risk assessment into their broader decision-making processes. Joint application between Nambucca, Kempsey and Bellingen Shires. Nambucca Tennis Club lighting upgrade. Install border and softfall to Donnelly Welsh Park and Taylors Arm Sports Reserve. Unkya Reserve ? electrical upgrade and general repairs. Funding towards cycleway in Bellwood (Pacific Highway) in partnership with Green Team. Funding contributions include $50,000 from RTA, $75,000 from Department of Planning, $75,000 from Nambucca Shire Council and the remaining matching funds are in-kind contributions from Nambucca Shire Council and the Green Team. Funding towards the conservation and preservation of the Frank Partridge VC Military Museum?s Max Coward Collection.? Healthy Communities ? Local Government and Shires Association and NSW Health? Partnership between Nambucca and Bellingen Shire Councils for funding towards an interactive youth driven initiative towards educating youth with skills that promote responsible use of alcohol.? Includes Save a Mate program and other programs, competitions and events and employment of a project manager.? In-kind support also received from North Coast Area Health Service. National Emergency Volunteer Support Fund ? Emergency Management Australia (EMA), the Division within the Attorney-General's Department. The National Emergency Volunteer Support Fund focuses on emergency management volunteers in recognition of their needs and the significant front line role they play in reducing vulnerability and enhancing community safety. To ensure ongoing protection of communities it is critical that all volunteer agencies maintain their current levels of staffing and training. The Australian Government is offering funding in 2009/10 through the National Emergency Volunteer Support Fund for projects which specifically address the recruitment, retention and training of volunteers. Application submitted by Nambucca River Volunteer Marine Rescue Squad. $2.5 million over 5 years towards renewing country halls. The fund will be delivered by the Office of Rural Affairs. Support is given to projects that enhance or maintain the vitality and diversity of the Australian natural living environment. Pre-approval to lodge a submission has been received for funding towards seating and signage for the Crosswinds Wetlands Reserve.? An application has been submitted. The Department of Infrastructure, Transport, Regional Development and Local Government is now inviting applications for Indigenous Road Safety Grants for 2009-2010. One or more grants up to a total of $30,000 will be awarded to applicants for projects that will help improve road safety for Indigenous people. Application forms and detailed information about the grants are available from the Department?s website. ?? increase the range of initiatives available to address road safety for Indigenous people. An application has been prepared to fund engineering works, informative signage at Bellwood and a children's safety booklet.? $30m for water and energy saving projects in facilities open to the public eg schools, community buildings, sporting facilities, museums and art galleries.? ? stimulate investment in innovative ways to save, harvest and recycle water and/or reduce overall energy consumption (and related greenhouse emissions) and/or peak electricity demand. An application submitted for funding towards lighting and air conditioning system upgrade in Council?s Administration Building and six outdoor solar lights.? This is complimented with funding towards a free community globe promotion and an educational information sheet. The Australian Government is now calling for investment proposals for projects that will meet the targets outlined in the Caring for our Country business plan 2009-10. Caring for our Country is an Australian Government initiative that seeks to achieve an environment that is healthy, better protected, well managed and resilient, and provides essential ecosystem services in a changing climate. The Australian Government is seeking investment proposals for landscape-scale projects that achieve one or more targets in specific geographic locations or key assets. ? small-scale projects of between $20,000 and $100,000 per annum. Council is working together with Landcare to submit an application that includes weed removal, field days, workshops and other on ground works and will involve a small devolved grant scheme for land owners and community groups. $52 million over 5 years supporting infrastructure projects that are directly linked to economic development opportunities. The fund will be delivered by the Department of State and Regional Development. Application submitted for infrastructure works at Macksville Saleyards. The Community Grants Program provides funding to support community and not for profit organisations that are making our communities safer, particularly in the areas of crime prevention, road safety, emergency readiness and response, and the environment. The Jobs Fund is a $650 million Australian Government initiative to support and create jobs and increase skills through innovative projects that build community infrastructure and increase social capital in local communities across the country. Through the Jobs Fund the Government will invest in one-off capital projects and provide seed funding for social enterprises. The Jobs Fund is a temporary resource. The aim of the Jobs Fund is to produce long-term improvements in communities affected by the global economic downturn. The Jobs Fund projects will focus on directly generating jobs for people in communities with already high unemployment levels, rising jobless rates or which are particularly vulnerable. 2)? Funding towards cycleway in Bellwood (Pacific Highway) in partnership with Green Team. The aim of the Restoration and Rehabilitation (R&R) program is to facilitate projects to prevent or reduce pollution, the waste stream or environmental degradation of any kind, run by community organisations and State and Local government organisations. Through these projects, we also aim to improve the capacity of communities and organisations to protect, restore and enhance the environment. ? to improve the capacity of eligible organisations to protect, restore and enhance the environment to undertake resource recovery and waste avoidance projects and to prevent and/or reduce pollution. Local government, incorporated community organisations, transport operators and other interested organisations that have a current Australian Business Number are eligible. Application prepared for upgrade of Cook Street Interchange, Bowraville. The Regional Arts Fund (RAF) is supporting sustainable cultural development in communities across regional, remote and isolated parts of Australia. A key focus is to encourage the formation of productive partnerships to support home-grown arts activities and the creation of networks to reduce isolation, exchange ideas and publicise opportunities. The program also assists the professional development of, and provides employment opportunities for, artists based in regional areas. Providing opportunities for community members to learn arts and broader skills is another RAF priority. With RAF support, professional artists provide workshops and collaborate with community participants on a wide range of creative projects. An application was submitted to enhance the existing mosaic in Nambucca Heads and the addition of a new artwork.? The project will include a number of community workshops. The NSW Government?s $35 million Community Building Partnership program will support local jobs, stimulate growth and improve community facilities. Community groups and local councils across NSW will be eligible to submit applications for funding that will help support local infrastructure and jobs. Council can submit only one application. The NSW Community Building Partnership will invest $300,000 into building local community projects in every electoral district ? with an additional $100,000 to be invested in electoral districts with higher unemployment. The $200 million NSW Local Infrastructure Fund has been established as an 'interest free' loan scheme to bring forward infrastructure projects that are delayed due to a lack of funding. The funding will provide an immediate local economic boost as water, sewer, drainage and roads infrastructure projects are provided for local communities. The funding will also trigger construction in areas of high population growth and will assist in increasing the supply of serviced land for housing and employment. The NSW Local Infrastructure Fund is a NSW Treasury Fund administered by the NSW Department of Planning. Funding is provided for local projects that will support urban development ? typically roads and related infrastructure, stormwater, water and wastewater projects. Only projects costing at least $1 million will be funded. Non-profit organisations, who are supported by volunteers, can apply for Australian Government grants of up to $5,000 to purchase equipment and cover the cost of petrol. Organisations can apply for grants of between $1,000 and $5,000 to purchase equipment, including computers, tools and air conditioners and also help with fuel costs. A grants scheme for projects that promote healthy living. Grants of up to $20,000 are available for individual councils, and up to $80,000 for groups of councils and regional organisations of councils. Projects can address issues such as healthy weight, responsible drinking, tobacco control or falls prevention for older people. The Healthy Communities grant scheme is coordinated by the Local Government and Shires Associations of NSW (LGSA) and funded by NSW Health. An application was submitted between Nambucca and Bellingen Shire Council for funding towards an interactive youth driven initiative towards educating youth with skills that promote responsible use of alcohol.? Under the plan, the Australian Government is providing $254.8 million over five years to cities and towns with fewer than 50,000 people to upgrade older pipes and water systems, to install new infrastructure and for practical projects to save water and reduce water losses. Competitive grants will be available to develop and implement practical projects that improve urban water security through water saving initiatives that reduce demand on potable supplies in cities and towns nationwide. The guidelines make provision for devolved grant arrangements, which may include consolidated proposals for multiple community facilities such as installation of rainwater tanks and greywater systems. - be completed by 30 June 2012. Projects which are not permitted include those that increase net extraction from groundwater or surface water resources such as bores, dams or transfer pipelines, or activities that are not supported by sound water supply planning. Round Two of the Housing Affordability Fund will give priority to greenfield and infill developments as well as planning reforms that reduce the time it takes to approve development applications. ??? Public housing estate redevelopment projects (ie create a mixed community through building or redeveloping affordable homes for private ownership). Transit-Oriented Developments (TODs) are defined as developments which provide housing within reasonable walking distance of public transport (including train stations, bus interchanges and bus stops, tram stops, light rail and ferries) shops and community services. The developments will also need to be consistent with State, Territory and local government TOD strategies, where these exist. Applications for Round Two funding can be made for infrastructure projects, reform projects and combined infrastructure and reform projects. The criteria are different for infrastructure and reform proposals. Infrastructure projects must deliver at least 50 new homes where the savings generated from the HAF investment are passed on to new home buyers. Reform projects must decrease the overall supply cost of housing through decreasing the time taken to obtain planning or development approvals and so reducing developer ?holding costs?. 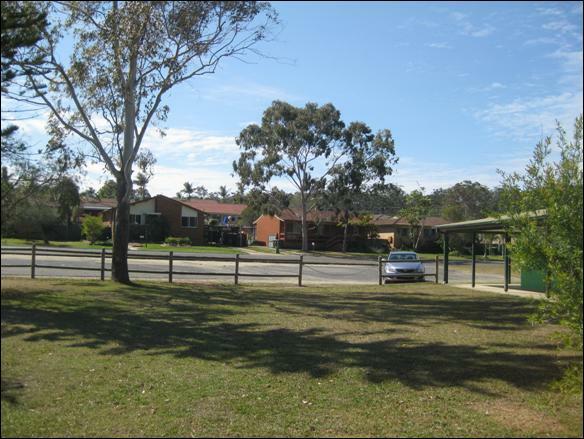 Application submitted for infrastructure to assist with affordable housing at Macksville Heights Estate. The Community Builders Funding Program is a community strengthening and capacity building program. It has funds available on an annual basis for time-limited projects in particular regions of NSW. The program is funded by the NSW Department of Community Services. The Community Builders Funding Program funds projects that aim to build strength and capacity within communities. The Community Builders Funding Program projects work within communities to enhance their capacity to deal with issues and respond to change. Your project will need to operate in an area covered by the Community Builders Funding Program. You will need to identify the community that will be served by your project and, within that community select a priority group that will have an opportunity to participate in your project. The priority group will be a disadvantaged group, though the project will be open to everyone in your chosen community. It is important that Community Builders Funding Program projects are based on needs identified in your community. You will have to demonstrate that you have consulted within your community and that your project idea is both supported by, and needed within that community. The primary focus of the program is on increasing regular and on-going participation opportunities. Increase regular and on-going participation opportunities in sport, recreation or structured physical activity in a sustainable manner. Facilitate long-term change that will benefit people facing barriers to participation in sport, recreation and structured physical activity. Develop the skills of volunteers and capacity of community organisations that provide participation opportunities. Build the capacity of a community organisation to enhance their provision of sport and recreation services. Provide accreditation or training to enable sport, recreation and physical activity programs to be conducted in locations across NSW and for specific communities. The primary focus of this program is to assist with the funding for the development of local and regional level sport and recreation facilities. The aim of this program is to increase the availability, standard and quality of sport and recreation facilities in NSW. ??? 1. Increase regular and on-going participation opportunities in sport, recreation or structured physical activity in a sustainable manner. ??? 2. Improve access for people from groups that traditionally find it difficult to access sport. ??? 3. Improve safety at sport and recreation facilities. ??? 4. To develop environmentally sustainable sport and recreation facilities. The Indigenous Heritage Program (IHP) is an Australian Government initiative that supports the identification, conservation, and promotion (where appropriate) of Indigenous heritage. The IHP may also help identify places likely to have outstanding Indigenous heritage value to Australia suitable for inclusion on the National Heritage List. The Department of Local Government Circular 09-43 issued on 18 December 2009 advises Councils about new strategies recently introduced by the NSW Government to reduce the incidence of graffiti, particularly those aimed at assisting Councils to reduce graffiti in their areas.? A copy of the circular is attached. 1??????? That Council note the new strategies recently introduced by the NSW Government to reduce the incidence of graffiti. 2??????? That Council note that the Graffiti control Regulation 2009 as amended gives Council the power to issue penalty notices to retailers who sell spray paint to persons under 18 years or who fail to securely display spray paint. 3??????? That Council use its website to inform residents of the anti-graffiti laws and penalities. 4??????? That Council note that Australia's first Graffiti Action Day will be held in May 2010 in association with Keep Australia Beautiful. Due to an amendment to the Graffiti Control Regulation 2009 on 30 November 2009 Councils now have the power to issue penalty notices to retailer who sell spray paint to persons under 18 years or who fail to securely display spray paint. Penalty notices can be issued by authorised officers which now include authorised employees of a Council. The penalties for offences under the Graffiti Control Act have been increased and could result in offenders being sent to prison for up to 12 months (previously 6 months).? And (commencing in early 2010) the Courts have also been given the power to order graffiti vandals to pay off their fines by cleaning up graffiti at a rate of $30 per hour. One of the strategies is to a include the development of a public information campaign.? Council can support this by placing information on its website. An education program will be introduced at no cost to participants for the initial three years. There is no economic impact. The minutes of the Annual General Meeting (AGM) of the Eungai District Community Council Committee of Management were endorsed by Council at its meeting on 1 October 2009.? A copy of these minutes? are attached.? Council has now received amended financial statements for the Eungai District Community Council Committee of Management for the year ended 30 June 2009. A copy of the amended statement is attached. That Council endorse the amended financial statements for the Eungai District Community Council Committee of Management for the year ended 30 June 2009. There was no discussion in regard to this report. The report acknowledges the Annual General Meeting of the Taylors Arm Hall Committee of Management and the new Committee.? A copy of the minutes of this meeting are attached. 1??????? That Council endorse the Committee of Management for the Taylors Arm Hall and thank the outgoing Committee for their work in the past twelve months. 2??????? That Council note the Committee's disappointment that in the three AGM's held in the Taylors Arm area no member of Council was in attendance. The AGM of the Taylors Arm Hall Committee of Management was held on Saturday 5 December 2009. There is no implications for working funds. That Council note the addendum to the Financial Statement for the Committee of Management for the Taylors Arm Reserve detailing the sundries expenditure of $2409.11. Whilst Council endorsed the minutes of the AGM of the Taylors Arm Reserve Committee of Management which was held on 14 October 2009 at its meeting on 3 December 2009, Council requested details of a Sundry expenditure amount of $2409.11. The Taylors Arm Reserve is used by local community groups and functions. The Department of Education and Training seeks to compulsorily? 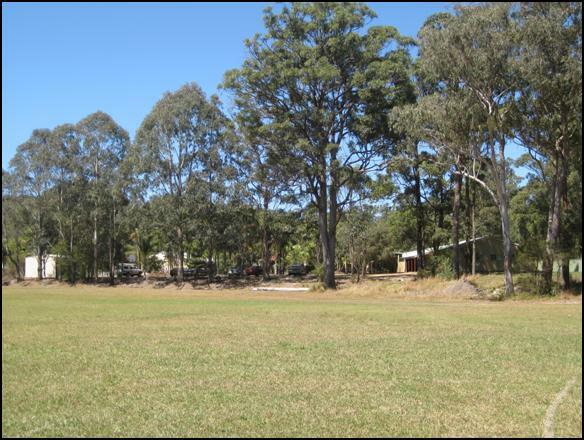 acquire a Council laneway which intersects land comprising in part the Nambucca Public School site. The laneway is largely unformed and has no structural improvements.? The Department owns all of? the land adjoining the laneway. Council?s surveyor advises the lane way is superfluous to Council?s future needs. Pursuant to the Land Acquisition (Just Terms Compensation) Act 1991 the Department has commissioned a valuation of the laneway to determine fair compensation for the acquisition.? The assessed value is $24,500.00.? A copy of the valuation is attached to this report. It is recommended that Council write to the Minister of Education and Training advising that it agrees to the acquisition of the laneway by the Department and that it considers the market value assessment fair and reasonable compensation. 1??????? That Council consent to the compulsory acquisition of Lot 21 in Deposited Plan 1131068 by the Department of Education and Training and accept compensation for the acquisition in the amount $24,500.00 on the proviso that the acquisition be completed without cost to Council. 2??????? That Council authorise the General Manager and Mayor to execute any documents required to give effect to and facilitate the compulsory acquisition of Lot 21 in DP 1131068 by the Department of Education and Training. Council can contest the assessed fair compensation and seek to negotiate an alternative rate with the Department. 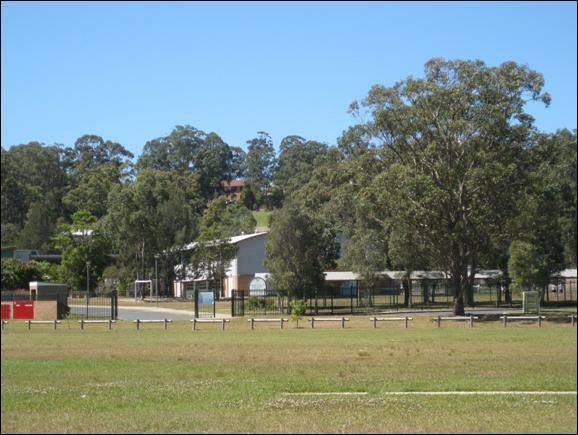 The Department of Education and Training is the Registered proprietor of the land comprising the Nambucca Heads Public School site as well as a number of adjoining allotments. Intersecting the site is a laneway which is classified as a dedicated Council public road and described by folio identifier Lot 21 DP 1131068 (hereafter referred to as ?the laneway?). The laneway is unsealed and has no structural improvements.? Part of the laneway adjacent to the Lee Street frontage has been bitumen sealed and is incorporated within a parking area for school purposes.? The laneway is zoned 5A Special Uses for School Purposes. The Department of Education and Training now owns all properties adjoining the laneway and seeks to acquire the laneway under the compulsory acquisition legislation to facilitate a consolidation of their adjoining land holdings. By correspondence to Council on 14 November 2008 the Department sought confirmation as to whether Council would raise any objection to the acquisition of the laneway by the Department.? Council?s Surveyor advised by return correspondence that the laneway was superfluous to Council needs and that there was no foreseeable objection to the acquisition. In accordance with the Land Acquisition (Just Terms Compensation) Act 1991 the Department has commissioned a market valuation from an independent registered valuer to determine fair compensation payable upon the acquisition of the laneway.? North Coast Valuations Services Pty Ltd assess the value and fair compensation payable for the laneway, as at 11 November 2009, to be $24,500.00.? 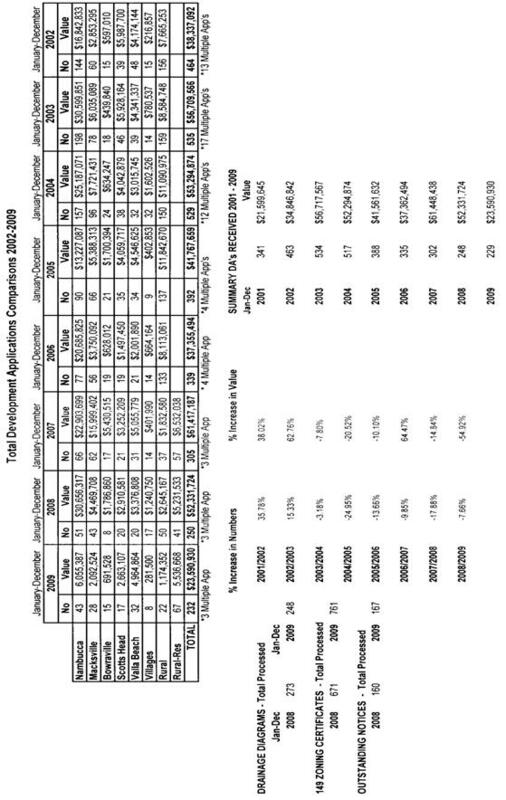 A copy of the valuation report is attached hereto as annexure ?A?. The Land Acquisition (Just terms compensation) Act makes provisions for the Authority of the State? (The Department) and the Owner (Council) to agree in writing that the land be compulsorily acquired by that authority. It is recommended that Council write to the Minister of Education and Training to advise that it agrees to the acquisition of the laneway by the Department and that it considers the market value assessment fair and reasonable compensation. The recommendation does not give rise to any environmental issues although it should be noted that Council does not have any details of the Department future plans for the land. The recommendation does not give rise to any social issues. The recommendation does not give rise to any economic issues. The recommendation do not give rise to any foreseeable risk. Section 43 (4) of the Roads Act 1993 stipulates that money received by a Council from the proceeds of sale of the land is not to be used by the Council except for acquiring land for public roads or for carrying out road work on public roads. No change or variance to working funds. Council resolved to receive a report on the possibility of connecting effluent from the Macksville Saleyards to the sewer system. The Manager Water and Sewerage and the Director Engineering Services have advised that whilst it is feasible to direct effluent to the town sewer system it would be necessary to first effect preliminary treatment of the waste before introducing it to the town sewer system. The required treatment is in essence the same as the proposed effluent management system presented to Council?s meeting on 17 December 2009 with the report on the operation of the Saleyards. A further pump station would need to be constructed as existing infrastructure at the showground does not have sufficient power or capacity to deal with the additional load the saleyard would create. The Manager Water and Sewerage advises that the onsite treatment of effluent would be more economical than connecting the Saleyards to the main sewer system. That Council note that it is not economically feasible to connect the Saleyard effluent to the town sewer system. Cost comparison between the implementation cost of sewer main connection and the proposed on site effluent system has not been completed on the basis preliminary enquiry suggests that connecting to the sewer system is likely to be considerably more costly.? Council may elect to formalise a cost comparison. AUTHOR/ENQUIRIES:???? Barbara Sadler, Executive Assistant ???????? 1????????? That the list of outstanding development applications (at least 12 months old) and applications received, be noted and received for information by Council. Land proposed to be subdivided is zoned Residential 2(a). Buffer distances comply with Council?s DCP 16. Environment and Planning Department Development Application statistics for the financial year 2009-2010 compared with 2008-2009 and Certificate Applications received and determined, are provided in the body of the report. 1????????? That Council note development application statistics and processing times for July 2009-June 2010 compared with July 2008-June 2009. 2????????? That Council note development application statistics and processing times for the years 2002 to 2009. 3????????? That Council note the statistical breakdown of development applications thus far for the financial year 1 July 2009-30 June 2010. 4????????? 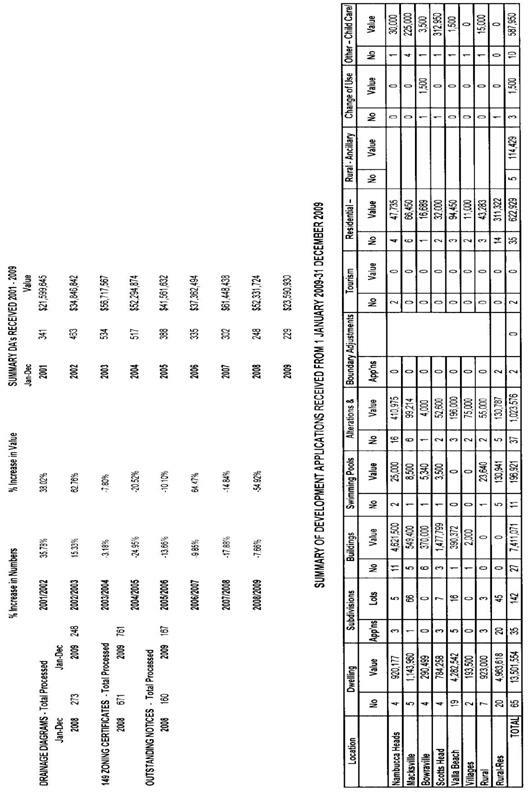 That Council note the statistical information for Certificates received by Council for 2004-2009. The figures show a -4% decrease in the number of DA?s received to December 2009 with construction costs decreasing by 263.11% compared to the same period in 2008/2009 (there were some very large developments during this comparison period). The total number of DA?s/CD?s approved for the month of December was 11 plus 3 modifications. The following is the Contract Regulatory Officer?s Report for December 2009. That the report from the Contract Regulatory Officer for December 2009 be received and noted by Council. Council approved Development Application 2005/364 being the redevelopment of 11 Ridge Street Nambucca Heads. Works commenced with considerable excavation and foundation work completed. However the company for the development subsequently went into receivership and no work has been undertaken on the property for some time. Adjoining landowners and Council staff expressed concern with the site and possible threats to the Ridge Street and Woods Lane road reserves and private property. Orders were issued on the company however, as they were in receivership the Orders could not be activated. Legal advice was sought and Emergency Orders were served on the Deregistered Company Markosh Pty Ltd C/- the Australian Securities and Investment Commission. Letters of advice were also sent to the adjoining landowners and body corporate for 13 Ridge Street suggesting that they investigate what action they may wish to take in light of the situation. 1????????? That Council note that Emergency Orders have been issued on the deregistered company Markosh Pty Ltd C/- the Australian Securities and Investment Commission. 2????????? That Council attend to the inadequate perimeter fencing and soil and sediment controls to ensure that the site is secured and the sediment controls are adequate. 3????????? That Council not, at this stage, undertake any works in regard to the excavations or shoring up, but carefully monitor the site and review its position as required. 1????????? Council could chose to enter the site and do all works considered necessary to comply with the provisions of the Emergency Orders. 2????????? Council could chose not to do any works at all. 3????????? Council could do the works identified in the above recommendations. Council approved Development Application 2005/364 being the redevelopment of 11 Ridge Street Nambucca Heads which included demolition. Subdivision and construction of 12 X 3 bedroom units and associated facilities. Works commenced with the original buildings being removed and demolished, extensive site works undertaken including considerable excavation and foundation work. However the company for the development subsequently went into receivership and no work has been undertaken on the property for some time. Adjoining landowners and Council staff expressed concern with the site and possible threats to the Ridge Street and Woods Lane road reserves and private property and public health and safety issues due to the amount of reinforcing steel protruding from the footings. Orders were originally issued on the company in February 2009. Unbeknown to Council the company Markosh Pty Ltd, had gone into receivership and the? Orders could not be activated. Further concerns were raised by adjoining landowners and Council sought Legal advice as to what could be done. Deacons advised that they had followed up the company and all assets were currently frozen and secured by the Australian Securities and Investment Commission who would accept receipt of Orders or directions from Council but would not necessarily act upon them. Subsequently Emergency Orders were served on the Deregistered Company Markosh Pty Ltd C/- the Australian Securities and Investment Commission on 27 November 2009 providing 14 days for the Orders to be complied with. The period for compliance concluded on Monday 14 December 2009. Whilst the works to secure the perimeter fencing and attend to the soil and erosion controls are relatively minor, the works required to secure the excavations and shoring up are quite significant and the design of the approved development does not secure these matters completely until the building is at the third level and is integrated into the overall footing design. For Council to undertake minimalist works it would require the engagement of the Civil Engineer who has designed the footing and foundations and then the engagement of an experienced formwork/concreter with an estimated cost of $100,000 minimum. Should Council enter upon the land to undertake any or all works to comply with the Orders, Council would do so at considerable financial risk as the costs would be charged back against the land and with the property in receivership Council would risk not receiving all or any of the costs back. An inspection of the development Site on Wednesday 16 December 2009 revealed that no attempts have been made to comply with the Emergency Orders. It is considered that Council should look at attending to the Perimeter fencing to ensure that it is intact and access is not readily available and that the soil and erosion controls are adequate to control water runoff from the site. Letters of advice were also sent to the adjoining landowners of, and Body Corporate for 13 Ridge Street suggesting that they investigate what action they may need to take to protect their properties in light of the situation. Individual landowners and the Body Corporate have responded advising that they are not proposing to take any action relying on Council to attend to the situation. One of the matters to be addressed through the Emergency orders relate to the soil and erosion controls on the site which need to be adequately maintained to minimise the extent of sediment moving off the site. One of the matters to be addressed through the Emergency orders relate to the security of the site by the perimeter security fencing as access could have dire public safety consequences. Compliance with the Emergency orders will have an financial impact on the receivers in compliance. Similarly if Council is to bring the site into compliance. Exposure to a number of risks currently exist and these matters have been brought to the attention of the organisation in control of the site and adjoining landowners. Council should ensure that the perimeter security fencing is in tact as a minimum. There will be a direct budgetary impact should Council carry out some or all of the works required as no funds have been allocated for such works. Whilst all costs can be charged back against the site, Council should be aware that the recovery of some or all of the expenses is at risk. Any funds used by Council would have to come from working funds and be addressed at the next quarterly budget review. 1??????? The construction site is adequately secured so that access to the premises from public places (being Ridge Street and Woods Lane Road Reserves) is restricted and that there is no resultant threat to public safety. 2??????? There is no danger to life resulting from the pooled water in the bottom lift void. 3??????? The unrestricted flow of surface water across the Premises, in circumstances where excavations have been carried out, does not cause damage to adjoining premises, and that any danger to the public or adjoining properties due to the failure to put into place the necessary measures to control such surface water flow is mitigated or eliminated. 4??????? The excavations carried out at the premises are not a danger to the public and that those excavations do not cause damage to the adjoining public places, being the Ridge Street and Woods Lane Road Reserves. 1??????? Re-construct the security fencing along the boundaries between the Premises and the Ridge Street and Woods Lane Road Reserves to a sufficient standard in order to restrict access from public places (being the adjoining Ridge Street and Woods Lane Road Reserves). 2??????? Carry out all work as is necessary to mitigate the danger to life resultant from the pooled water in the bottom of the lift void [and open hole in the lift void], including the pumping out of the water currently held in the constructed lift void, or the construction of security fencing around the lift void, or installing a cover to prevent access to the lift void. 3??????? Carry out all work as is necessary, including the installation of effective erosion and sediment control measures, catchment drains and swales and if necessary retaining walls along the site boundaries and within the Premises in order to prevent damage to adjoining properties and Council's infrastructure from the unrestricted flow of surface water on and across the excavated portion of the Premises. 4??????? Carry out all work as is necessary, including the construction of retaining walls and effective erosion and sediment control measures as are necessary to prevent any damage occurring to the adjoining public place, being the nature strip outside of the Premises and Ridge Street and Woods Lane Road Reserves due to the excavations already carried out at the Premises. 4??????? Inspections of the Premises have revealed that excavation work was previously carried out at the Premises, and now is likely to result in damage to the adjoining public place, being the adjoining Ridge Street and Woods Lane Road Reserves as a result of undermining. 1??????? Items 1 to 4 (of the Orders Nos 7, 9, 12 and 28) above must be complied with within 14 days after service of this Emergency Order. It is an offence pursuant to Section 628 LG Act to fail to comply with the four orders in this Emergency Order. 2??????? Commence summary criminal proceedings in a Court of competent jurisdiction pursuant to Section 628 of the LG Act seeking a conviction and pecuniary penalty with a maximum pecuniary penalty of $11,000 for failure to comply with Order No 7, a maximum pecuniary penalty of $11,000 for failure to comply with order No 9, a maximum pecuniary penalty of $11,000 for failure to comply with order No 12, and a maximum pecuniary penalty of $2,200 for failure to comply with Order No 28. In addition to or in the alternative to the actions identified in paragraphs 1 and 2 under the heading ?Failure to comply with the Emergency Order? above, Council may choose to exercise its statutory powers pursuant to Section 678 of the LG Act in order to give effect to the Emergency Order. Pursuant to Sections 138 and 180 of the LG Act an individual or corporation affected by the Emergency Order may appeal to the Land and Environment Court of NSW against the Emergency Order or a specified part of the Emergency Order within 28 days after service of the Emergency Order. An appeal does not operate to stay the Emergency Order (Section 183 of the LG Act). We are contacting you as an adjoining or nearby landowner to the above Premises. As you may be aware, pursuant to development consent DA 2005/364/01, the existing property was demolished and excavations were carried out at the Premises in approximately late 2007. However since that time, no further work has occurred. These excavations have resulted in a potentially unsafe situation both for adjoining landowners, and for the public land adjoining the Premises. Surface water flows at the Premises, especially during heavy rainfall events, have the potential to undermine adjoining land and properties, as there are not sufficient sediment and erosion controls, or retaining walls, to secure the excavations and prevent such potential damage from occurring. In March 2009, Council issued an order on the owner of the Premises, Markosh Pty Limited (Company) requiring it to undertake all necessary actions to prevent the undermining of an adjoining property. However, Council subsequently discovered that the Company had been deregistered. Council investigated issuing an order on the company which had applied for and received the subject development consent, Architectural Property Services Pty Ltd, however this company has also been deregistered. Council has now served an Emergency Order on the now deregistered Company, care of ASIC, as is the correct procedure in the circumstances. However, Council considers that it is unlikely that ASIC will undertake the necessary works as required by the Emergency Order. Given this, we suggest that you consider the likelihood of damage occurring to your property as a result of the excavations, and if necessary carry out work on your own property to prevent such damage from occurring. While Council acknowledges that this may not be an entirely satisfactory solution, it may be necessary given the lack of a suitable owner or other party which can take action at the Premises. Additionally, under Section 678 of the Local Government Act 1993, if ASIC does not take the required actions on behalf of the Company within the relevant time (14 days from service of the Order), Council is empowered to undertake those actions itself. Following expiry of the 14 days from service of the Emergency Order, Council may investigate what actions Council can practicably take at the site to limit damage occurring to adjoining properties and the adjoining public land, and if Council determines it to be practicable, may undertake such works. In this regard Council?s powers should not be relied upon as necessarily resolving the current problems on the site. Given the uncertainties involved, we again recommend that you review what actions you can take on your own property to prevent any such damage from occurring. Council will certainly be willing to assist you in this process, and answer any queries which you may have. Should you require further information concerning the above please contact the undersigned on 02 6568 0229. The Plan of Management for E J Biffin Playing Fields has been revised.? The draft is presented to Council seeking consent to place the document on public exhibition. That Council place the E J Biffin Playing Fields Plan of Management on public exhibition for 28 days with a further 14 days allowed for the receipt of submissions. The original Plan was adopted on 16 March 1995 and is due for a review.? In addition to the time period Council has to address the issue of the Bridge Club assuming ownership and the provision of access to the area of Operational Land within the reserve. The format of the Plan is similar to other recent documents such as Coronation Park. The Committee of Management will specifically be invited to comment particularly with regard to the history of the reserve and the proposed long term redevelopment. No major issues.? Vegetation is discussed on the Plan. A Plan of Management determines the means of management of the facility and the user groups.? Social equity is a major issue to be put in place. This is the largest recreation reserve in the urban areas and hosts a range of regional events.? Future upgrades will allow this aspect to grow. The adoption of the Plan can be delayed through public consultation requiring major changes. The value of future upgrades is a financial expense that may be difficult to achieve. No new costs. Future budgets will need to address the Forward Plan as funds present. The Forward Plan will require considerable funding from sources other than Council.? Grants will be essential. This Plan of Management has been prepared to document the environmental, economic, recreation and social values of E J Biffin Playing Fields and to guide the future use, development and management of the reserve. Underpinning the preparation of the plan is the involvement of the community in determining what values are important and how these should be protected and enhanced. 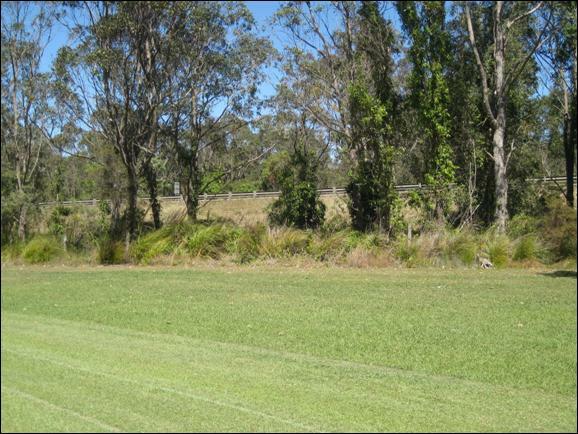 The E J Biffin Playing Fields are located in the township of Nambucca Heads on the Mid North Coast of NSW (500 km north of Sydney).? The township has a population of around 6000 and enjoys a subtropical climate in a rural setting. The reserve is one of the two main open space areas for the township and provides for sport, recreation and social events. The reserve comprises 3 lots being lot 1 and 2 of DP1004209 and lot 148 of DP263414 Parish of Nambucca and County of Raleigh. o??????? Provide a broad range of recreational uses for the village and provide facilities suitable for use by the broader sporting community. o??????? Provide passive use such as walking and exercise. The land is described as Lot 1 DP 10042091 with an area of 5.698ha, lot 2 DP 1004209 with an area of 0.666ha and lot 148 DP 263414? with an area of 1.487ha.? The total area is 7.851 ha.? 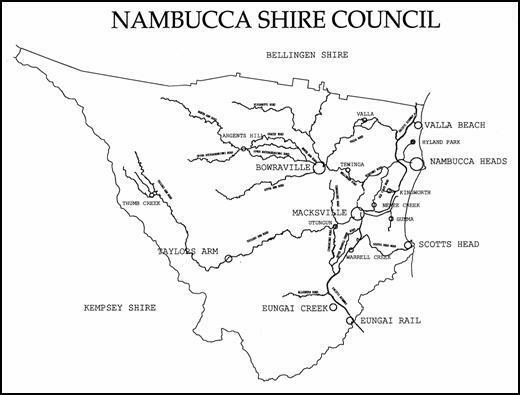 The land is owned by Nambucca Shire Council PO Box 177 Macksville NSW 2447. Under the Local Government Act, Division 2 Clause 36(4) lot 1 DP 1004209 and lot 148 DP 263414 are categorised as community land sub-category of Sportsground. Lot 2 DP 1004209 is categorised as Operational Land and is therefore not subject to this plan of management. 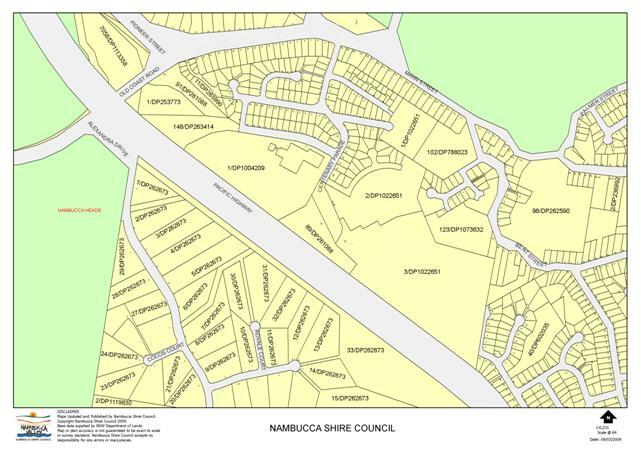 Nambucca Shire Council is the Local Government Authority and is charged with the care, control and management of reserve and the adjacent road being Fred Brain Avenue and Centenary Parade under the Local Government Act 1993. ?? To ensure that such activities are managed having regard to any adverse impact on nearby residences. The land is presently zoned 6(a) Public Recreation under the Nambucca Local Environmental Plan 1995.? The existing use is a public recreation area with both active and passive activities. The surrounding township is zoned 2(a) Residential and the surrounding educational precinct is zoned 5(a) Special Use as per the following map. Immediately adjacent to the reserve on the north and east is residential housing. The eastern side borders Centenary Parade and the northern side borders Fred Brain Avenue. In the general vicinity are three schools being the Nambucca Heads High School, Frank Partridge VC Primary School and the Christian Community School. The township of Nambucca Heads has been established since the 1850?s and was focussed on the river foreshore and nearby ridges.? The area known as Newville was developed in 1983 as a new housing estate. This Plan of Management has been prepared in accordance with the provisions of Division 2 Clause 36 of the Local Government Act 1993. Community consultation forms an integral part of the process of preparing a Plan of Management.? Continuous review and incorporation of community attitudes expectations and requirements into the ongoing management of the Reserve is also paramount.? 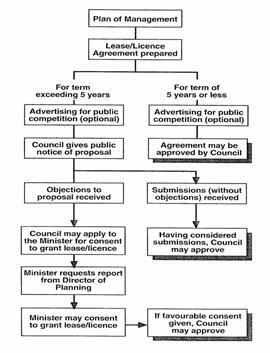 Under the requirements of Division 2 Clause 38 of the Local Government Act 1993 the Plan of Management was placed on public exhibition during which times submissions were invited to be made to the Council. The plan was on display from the 8 June to the 6 July 2006 with submissions received up to 4.00pm on 20 July 2006.? Public notice of this exhibition was published in the local print media on the 8 June 2006 and will detailed where and when the plan will be on display and invited submissions from interested members of the public. 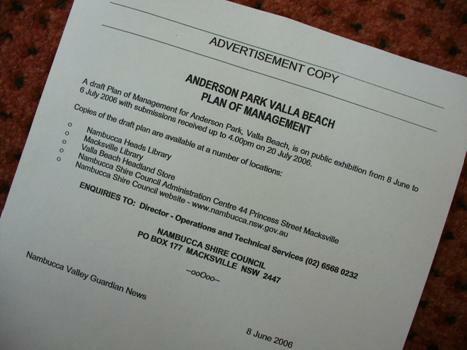 During the exhibition period, the plan was available for perusal at the offices of the Nambucca Shire Council, Princess Street Macksville, at the Macksville and Nambucca Heads Libraries, the Valla Beach Headland Store and on Council?s website www.nambucca.nsw.gov.au. Following the adoption of the Plan by the Council it will not allow any operations or development, which is not permitted by the Plan.? Amendments of the adopted plan is covered by Division 2 Clause 41 of the Local Government Act 1993 and may be required at regular periods to keep abreast of the changing expectations and requirements of the community and ensure the Plan remains useful and relevant. Funding for management of the Reserve will be sought from a range of Government, Council and community sources. ?? Management of the land is in accordance with this Plan of Management and Council policies and guidelines. ???????????????????????????? ii) The physical, cultural, social and intellectual welfare or development of ????????????????????????????????? ????persons. This includes but is not limited to, maternity welfare centres, ????????????????????????????? ??? ?infant welfare centres, kindergartens, nurseries, child care centres, family ????????????????????? ??? ?day-care centres, surf life saving clubs, restaurants or refreshment kiosk. ?? The use and/or occupation of the land are considered to be in the public interest. Council as a Manager may grant any other Estate to the extent permitted by the provision of S 46 of the Local Government Act 1993. In essence S46 prescribes, interalia, the right to grant estates which are expressly authorised by this plan of management and which are consistent to the core objectives of the land. This plan expressly identifies access rights to the operational land wholly within lot 1 DP 1004209 as being consistent with the core objectives of the zone and expressly authorises the grant of easement for access, right of carriageway or estate burdening lot 1 DP 1004209 and benefiting lot 2 DP 1004209 and any other lot created from a subdivision of lot 2 DP 1004209. The Local Government (Financial Management) Regulation 1999 aims to ensure that Councils adopt current contemporary best practice accounting policies and procedures, to enhance the ability to compare the financial performance of Councils, to ensure the effective management of Council finances and to ensure accountability and transparency. o??????? The need for a lease and its terms, conditions and rental that would apply. To manage the E J Biffin Playing Fields effectively, it is essential that these values are identified and that their significance in terms of the management of the Reserve is determined.? Further to this significance, the role of these values at a local and regional reserve level is important. The majority of the soil on the park was placed on site as a result of the adjacent subdivision. The North Coast region enjoys a subtropical climate with mild average temperatures and relatively high rainfall.? This rainfall is variable, however, and may be low to moderate some years while high intensity summer rainfall in other years has caused various levels of flooding throughout the history of the area. Tree planting on the reserve is mainly a natural stand of eucalyptus in the North-West corner behind Newville Cottage Park. The adjacent highway road reserve on the southern boundary comprises mixed native species many of which were planted in the mid 1990?s by volunteers.? Over the year a range of tree species have been planted on the perimeter of the park and fields to provide shade. The reserve is essentially a grassed parcel of land. Essentially no fauna exists other than bird life in the vegetation on the fringes of the reserve. The landscape is open sporting fields with no built facilities at this time. The use of the park does not provide habitat or encourage use by native fauna. The reserve provides an attractive park outlook within the township. 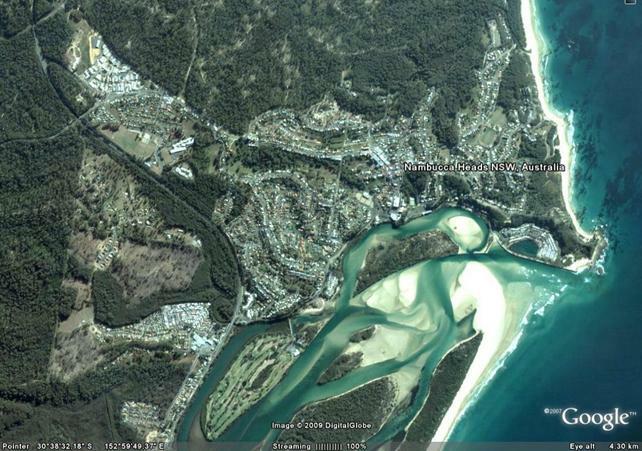 It is the largest parcel of developed public community land in Nambucca Heads at 7.851ha.? 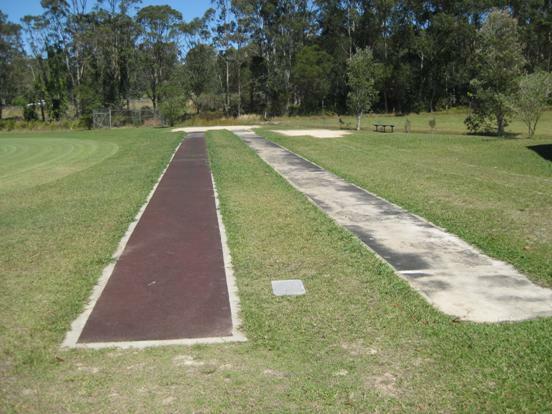 Coronation Park on the eastern side of Nambucca Heads is the second largest sports area at 4.93 ha. No history identified at this time. 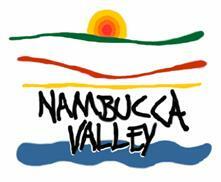 The Nambucca Heads Local Aboriginal Land Council can be engaged to conduct a site survey. Any provided information will be included in future reprints. The park was developed as part of the surrounding residential subdivision.? The development was undertaken by Council in 1983 and it is assumed that the construction of the park started at that time. The tennis courts were established on E J Biffin Playing Fields because of the limited space at Gordon Park to enable growth at that site. The popularity of tennis has waxed and waned over the years until the grounds were considered dilapidated and the fences and the tennis courts removed from service in 2008. The park is named after Jack Biffin who was a great supporter of sport in the valley. There are no current leases or licences affecting the Reserve, however it is acceptable for licences to be issued for temporary use. Such use to be assessed by the issues stated in Clause 1.10. The licences may include regular use by the schools. The reserve is able to be licensed for concerts and fairs to support the cultural experience of Nambucca Heads. The fees charged will be set by Council and collected and kept by the Committee of Management for use on the grounds to both maintain and improve facilities. Other signage as approved by Council. The intrinsic values of the reserve include the aspects of visual, scenic and pleasant atmosphere for recreational uses and ease of access for the community. Provision exists on the reserve for two sports. The largest regular user of the reserve in terms of area is athletics. 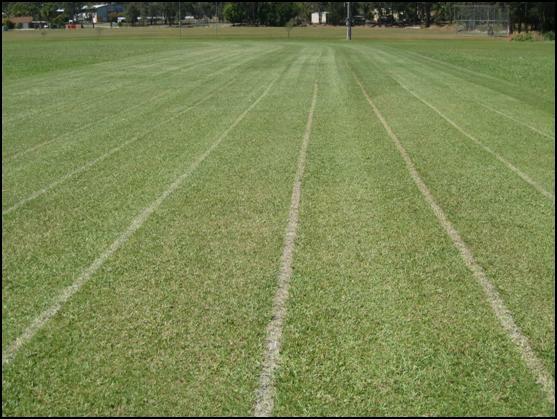 The Nambucca District Little Athletics train every Friday night in summer. As well they conduct coaching on Sundays and an annual carnival. This sport has around 120 competitors. The Nambucca District Senior Athletics use the same time periods with about 30 athletes involved. There is a standard cricket oval with a synthetic pitch. The games are played on Saturday afternoons. Talarm Cricket Club train on Wednesday afternoon. 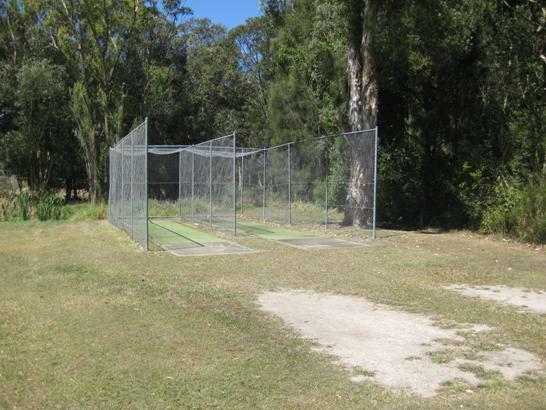 The Nambucca Heads Cricket Club (Juniors) train on Tuesdays and Thursdays and play on Saturday mornings. During summer on Monday nights the Nambucca Heads Touch Football Club play and 100 participants are involved. Nambucca Heads Junior Rugby League train every Tuesday and Thursday afternoon during winter. A Gala day attracts 150 players. The park is used informally by people walking and jogging as part of individual exercise regimes. Over time the development of walking and cycle paths around the perimeter of the park is desirable where there is no impact on sporting use. The path could also be part of an "exercise" route to promote healthy lifestyle. This large open area within the urban area has the potential to be a meeting place for festivals and carnivals.? "Carols By Candlelight" is the only broad community event held on the park. It would be suitable for other large gatherings such as a car ?Show and Shine? exhibition. There are no vehicular access roads onto the reserve beyond the carpark. Care has to be taken to restrict such use to prevent damage to the grassed surface. The carpark is fenced to control vehicular access. o??????? Use of the reserve by animals including dogs and horses. o??????? Dangerous activities such as golf and golf practice. The implementation of new and improved facilities will depend upon the availability of funding. The range of funding sources will include Council, the Committee of Management, individual sports, Government grants and private beneficiaries. The location of three schools in close proximity to the playing fields makes it an important facility for those educational facilities. ?? Nambucca District Primary School Athletic Carnival (300 students plus parents. 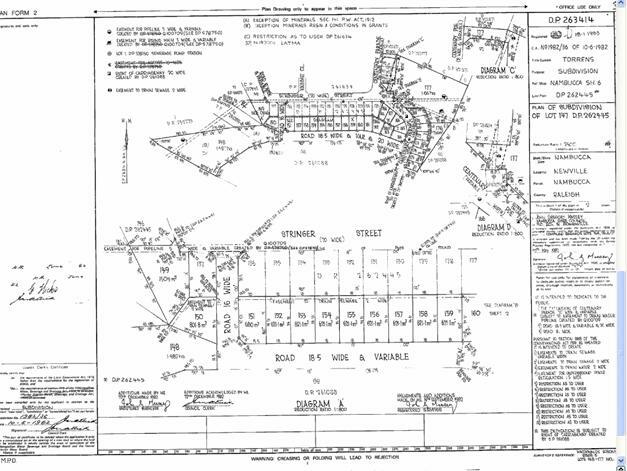 A portion of the old tennis courts is to subdivided from lot 2 as per the subdivision plan below. The subject lot (now known as lot 21) is vacant land containing no major improvements but includes a large concrete slab approximately 670 m2 which was previously used for active recreation as a basketball court. This court received negligible use and has fallen into disrepair.? The concrete slab has the potential to be incorporated into the eventual development of the land and used as a car parking area adjacent to a new clubhouse. The proposed lot 21 would have an area 1,283 m2 and include the concrete slab. 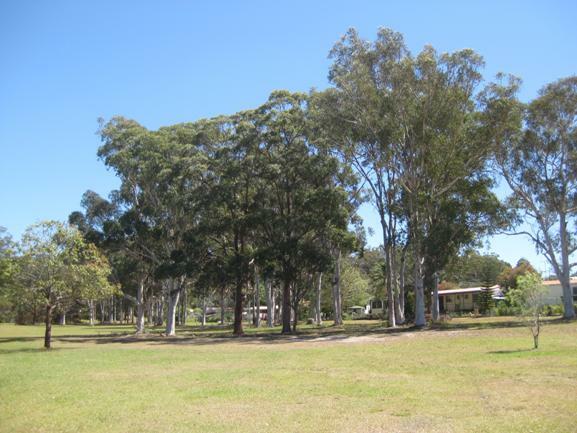 The purpose of the subdivision is to create a lot (lot 21) which can be sold to the Nambucca Valley Bridge Club. A development application is required should they seek to erect a clubhouse on the land. The future erection of a clubhouse would fall under the definition of a ?community centre? which is permissible in a 6(a) zone. Access to the lot will be via a right of carriageway created over the full frontage to the nearest public road being Fred Brain Avenue. Despite the classification of Operational Land it still remains essential that the use still meets the core objectives of S46 "to encourage, promote and facilitate recreational pursuits in the community involving organised and informal sporting activities and games". The proposed Bridge Club is considered to meet that principal. The remainder of the land is classified as ?Community? Land and remains under the Management of the E J Biffin Playing Fields Committee of Management. The Plan of Management is based on a Vision Statement, which will guide the Reserve Managers in its decision making role.? It is supported by Management Principles, which determine the aims and strategies for the management of the Reserve. The Vision for the management of the E J Biffin Playing Fields is that the land be managed to provide an outstanding asset for the recreational, social and educational benefit of the community. The following principles establish the broad direction the Reserve Management will follow in protecting and enhancing the values of E J Biffin Playing Fields to achieve the Vision. a????? Identification and preservation of the values of the natural environment. b????? Recognition, protection and enhancement of the unique recreational values the location offers. c????? Maintenance of Reserve to ensure safe, accessible and enjoyable use. iv)????? Removal of weeds to minimise the impact on the natural environment. 6.1.2.1 Inspect for dangerous trees (eg termite infestations, dead branches etc). Vegetation is maintained in a safe condition by pest treatment and dead tree branches are lopped and removed. Gradual planting of trees with native species to provide shade. 6.1.2.2 Identify native wildlife of the Reserve through consultation with the Dept of Environment & Conservation. Wildlife using the Reserve is considered in any management actions. 6.1.2.3 Prevent and repair erosion and remove flood debris.? Control runoff from road drainage.? Inspect Reserve within three (7) days of major rainfall events. Reserve receives minimal erosion damage during storm and flood events.? Any flood debris is removed within seven (7) days of rainfall event. The reserve does however act as storm retention basin in heavy rainfall events resulting in water ponding on the fields. Future upgrades need to include litter and sediment traps near the highway. 6.1.2.4 Protect park from damage by vehicles, pedestrians and intrusion by adjacent properties. ?Restrict vehicular access to the carpark area by erecting bollards and/or fencing and signage if required. Temporary access across the reserve can be permitted provided an agreement is entered into that defines conditions of use. Require removal of encroachments from neighbouring properties such as gardens, storage of trailers etc. promptly upon detection. 6.1.2.5 Manage the invasion of environmental weeds and remove noxious plants through a regular control program initially targeting those, which are not serving a purpose (eg shade, bank stabilisation etc). A reduction in exotic plants and the implementation of an annual weed control program. v)?????? Provision of focal point for social interaction. 6.2.2.1 Ensure all new equipment and facilities are compatible for use by people with access limitations. Visitors with access limitations (eg wheelchairs) are able to access and utilise as much of the Reserve?s values as the general community. 6.2.2.2 Provide safe and interesting play equipment. A comprehensive register is established and updated on a regular basis. Inspect for wear and tear and update inspection report at least every six months or as required by Councils risk management policies. 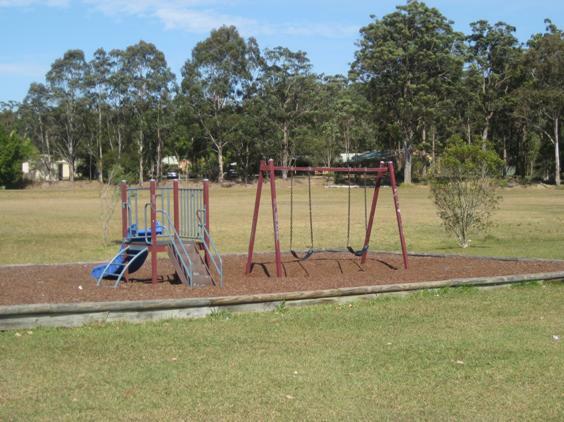 Maintain and improve the playground with new equipment that complies with Australian Standards. 6.2.2.3 Provide accessible and safe toilet facilities which are monitored regularly, maintained effectively and available only when sports or events are in progress. Clean and safe toilet facilities to be built on E J Biffin Playing Fields and are available to all Reserve users when sport and events are in progress. No general public toilets provided outside at other times. All parts of the building to be locked. 6.2.2.4 Undertake regular inspections to ensure all facilities are in a clean, safe and good working order. Inspections are conducted on items such as seating, fencing and buildings. Any repairs reported and maintenance undertaken where necessary. 6.2.2.5 Minimise the visual impact of structures. Construct suitable shelters and buildings that are compatible with the natural environment of the reserve and Nambucca township. 6.2.2.6 Ensure safety in all aspects of the Reserve and minimise public liability.? Erect appropriate signage for user?s information and safety. Warning and safety signage is prepared and erected. Golf and Golf practice is not permitted because of the danger to other park users. Committee of Management to allocate and approve the use of the sports fields. Involve Committee of Management in determining level of service for maintenance. Close sports fields to use in periods of wet weather. Committee of Management to determine and erect signs. Review the current arrangement and layout of sporting fields to ensure that current needs are being met. 6.2.2.8 Provide a focal point for social interaction. Reserve keep maintained and clean. 6.2.2.9 No camping on the reserve. Camping for events even when associated with the reserve are not permitted due to the close proximity of residential housing. 6.2.2.10 Animals are not permitted on the park. Dogs are not permitted on the reserve in accordance with Councils Policy on Playing Fields. Horses are not permitted on the park due to the damage they may cause to the field surface and the associated trip hazards.